A Buddhist Perspective on a Permaculture Perspective on Science Education. During my adult life I have come across two perspectives that have greatly helped me make sense of the world: Buddhism and permaculture. Neither were particularly valuable in teaching me new things, but rather in affirming the things bouncing around in my head already. When I first started learning about each of them I found myself nodding in confirmation, and awed at how someone else had written so thoughtfully about the thoughts I had been unable to articulate as lovely as they had. I was not alone after all! Schumacher College in Totnes, England played a key role in my education on these perspectives. It was in the dining room there I met Bill Mollison over a cup of tea (not knowing who he was), and in the library that I read extensively on Buddhism for the first time. Not only did each perspective help me understand the world better, but each one also helped me understand the other. I could see Buddhist themes in permaculture and permaculture themes in Buddhism. While I won’t go so far as to compare Bill Mollison or David Holmgren to Siddhartha Gautama, I will note that, from my observations, the stories that many permaculturists tell about their ‘discovery’ of and ‘conversion’ to permaculture as similarly transformative. I will also note my belief that the Shambhala Prophecy holds special significance for those permaculturists interested in getting permaculture ideas into their local schools. The Kingdom of Shambhala is not a geopolitical entity. You cannot find it on a map. It exists only within the hearts of the Shambhala Warriors, who will arise at a time when the Earth is in terrible danger. During this time powerful forces will lay waste to the land and sea with technologies previously unknown. At this time, the Shambhala Warriors arise and enter the halls of power with only two weapons: compassion and a recognition of the interconnectedness of all things. In the context of permaculture, compassion represents the permaculture ethics and a recognition of interconnectedness can be described as systems thinking. In the present context, schools are the halls of power where compassion and systems thinking have the potential to bring about profound transformation for both teachers and students. At present, most schools are largely transmissive in their approach to education, which simply acts to reproduce the existing unsustainable culture. There are many reasons for this, and the Shambhala way is to strive to understand the condition of schools and teachers in order to transform education. The first step is to embrace the idea that schools are for student learning. The second is to recognize that – as have education researchers worldwide – the teacher is the chief factor in student learning. The third is to agree that students learn best when learning is relevant and experiential. The fourth is to recognize that many teachers fail to embrace relevance and experiential learning because of pressures ranging from time constraints to national curricula to testing. When a classroom door closes, the teacher alone determines how the time is spent, and if they feel overwhelmed with the status quo then they will be unlikely to take on anything new such as sustainability. Unless, of course, someone comes along to help them with compassion and a systems perspective. This can be the role of the permaculturist interested integrating permaculture ideas and practices into their local schools. Based on three and a half years of doctoral research after 16 years as a teacher, I submit the following as one possible permaculture approach for junior secondary science. Please note that the underlying emphasis to this approach is that the teaching and learning of science can be improved by making it more relevant and experiential by engaging local individuals involved in the practice of permaculture. 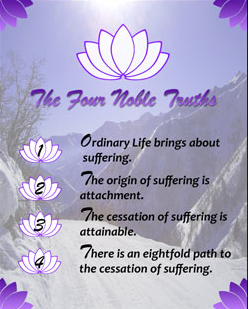 Continuing the Buddhist theme, I present this approach in two pieces akin to the Four Noble Truths and the Eightfold Path. They are the Five Fingers of a Permaculture Approach and the Eight Key Principles. The Five Fingers of a Permaculture Approach to Junior Secondary Science: permaculture design as means, not end; the transformative nature of permaculture; the science behind permaculture practices; permaculture practitioner as citizen scientist; and, field trips to permaculture properties. It is not that these five characteristics are unique to permaculture, but that all five fall under the permaculture umbrella. There are other ecological design systems and other transformative learning experiences. There are other citizen scientists and other valuable field trips. Through my research I have identified these five ways in which permaculture – as a distinct, well established, international movement – can be used to help improve the teaching and learning of science and to cultivate perspective change in both students and teachers. The Eight Key Principles: making science relevant; applied science; student-centred teaching and learning; experiential learning; emphasizing interconnectedness; affective experiences; taking actions for the environment; and transformative chronology. These principles do not come from permaculture, but from the rest of my theoretical framework: scientific literacy, ecological literacy and transformative learning theory. These are the key principles for pedagogies that help to improve scientific and ecological literacy and encourage perspective transformation in students. These key principles can be applied independently of permaculture, but in this case they are believed to enhance the Five Fingers of a permaculture approach described above. On a final Buddhist note, by not trying to teach permaculture there may be a greater uptake of permaculture ideas by students and teachers. This less-is-more approach may appear paradoxical, but that is the nature of Buddhism. Improving scientific and ecological literacy in students while they are in school may lead to adult learners who pursue permaculture naturally and effortlessly. You can plant a seed but you cannot make it grow. You can, however, add compost. I will be presenting a detailed description of the Five Fingers and Eight Key Principles on the 14th of April at the Australasian Permaculture Convergence in Turangi, New Zealand.